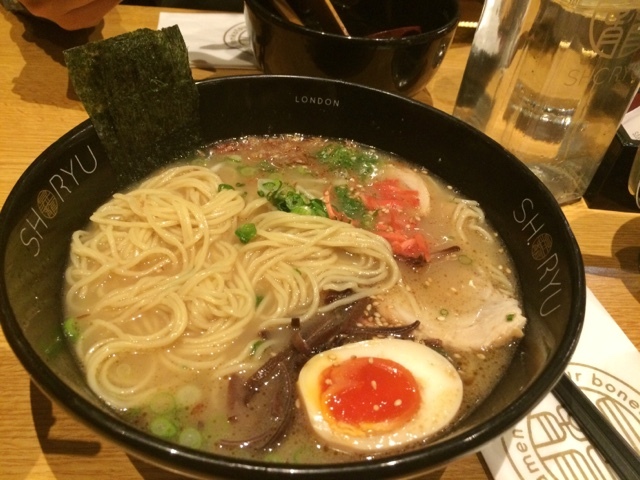 Ever since I discovered ramen, I have been on the hunt for the best ramen. 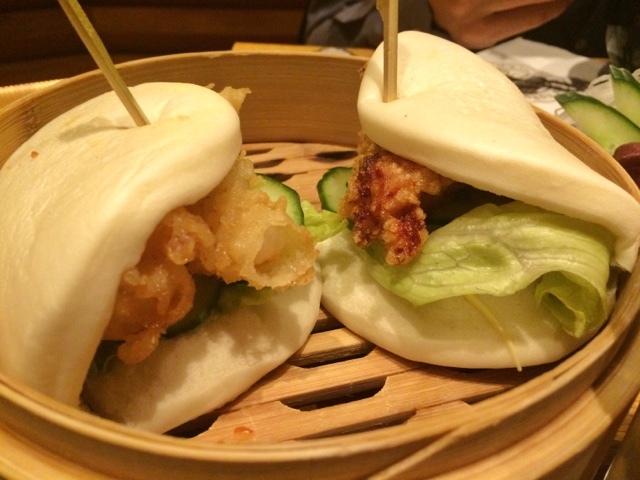 So far I've tried on The Bab in Shoreditch and I loved that. When we arrived, there was a queue of 10 people outside as they don't take bookings. Depending on how big your group is will depend on how fast you will be seated. For 2 people, it was no longer than 10 minutes. 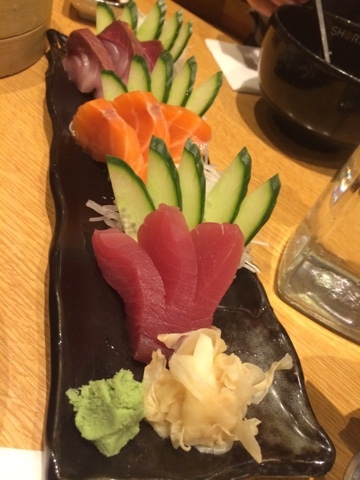 For starters, we tried the 9 piece mixed sashimi, which include yellow fin tuna, skipjack tuna and salmon. I love tuna but I think the salmon would have to be the best out of the three. 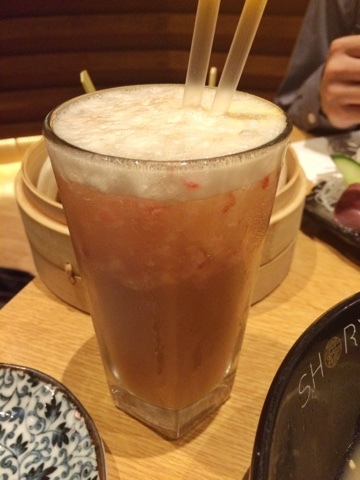 To drink, I ordered the Pinky Lychee Jasmine Tea, which took a while to arrive. It wasn't as nice as the description had sounded and the price of £6 for one glass did put me off. Mains! 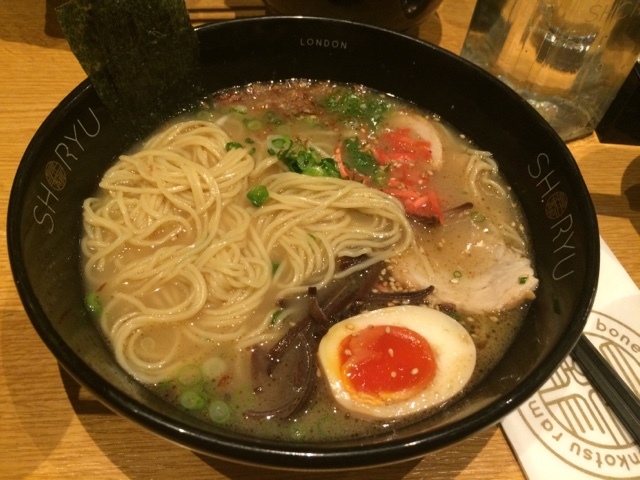 We shared a bowl of Shoryu Ganso tonkotsu, their signature ramen with fried shallots as well as the other toppings: nitamago egg, kikurage mushrooms, spring onions, sesame, ginger and nori seaweed. It was yum! I was so hungry, I finished my half too quickly. Service was ok but it was a Friday night. It took a very long time to request and receive our bill and when we did, they had over charged us for the buns but this was resolved quickly. Our final bill came to £46.